LG's announcement comes as somewhat of a surprise given the company just this weekend teased the G Watch R in a YouTube video touting the device's circular display and supposed reveal at this year's IFA, which is set to kick off on Sept. 5. According to Engadget, the G Watch R boasts a full 360-degree 1.3-inch, 320-by-320-pixel Plastic OLED (P-OLED) display and case styling more in line with classic wristwatches than modern smartwatch products like Pebble or Samsung's Galaxy Gear lineup. The wearable is meant to complement LG's existing offerings, including the current square-screened G Watch that was first announced in March. Interestingly, the upcoming version takes cues from Motorola's Moto 360 that was announced alongside the original G Watch as one of the first devices to run Google's Android Wear operating system. LG is touting the G Watch R's unique circular form factor as a main selling point, poking fun at the Moto 360's "flat tire" design in this past weekend's video. The Moto 360's display is not a complete circle, having a bottom slice cut out to house an ambient light sensor and screen control circuitry. Aside from the format change, however, the G Watch R appears to be a repackaged version of the original G Watch model. Both run a 1.2GHz Qualcomm Snapdragon 400 chipset with 512MB of RAM, include 4GB of flash storage and come with interchangeable straps. The new version does feature a heart rate monitor built into the case back, as well as a physical power button that doubles as the watch's crown, much like the Moto 360. 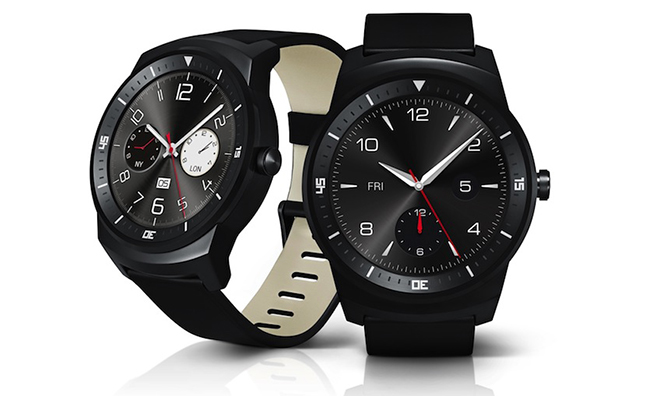 LG's G Watch R is expected to see limited release in the fourth quarter, meaning it will face stiff competition from the likes of Motorola, Samsung and possibly Apple. Samsung on Wednesday also announced a new smartwatch called the Gear S, which features a curved two-inch Super AMOLED display, heart rate sensor, turn-by-turn navigation via Nokia's HERE and two days of battery life. One of the more novel capabilities is 3G cellular connectivity, which supports both voice calling and data transfer when phone tethering is not available. A report earlier today claimed Apple is planning to announce its own highly anticipated entry into the smartwatch segment at a special event on Sept. 9, which is also expected to feature the next-generation iPhone lineup. 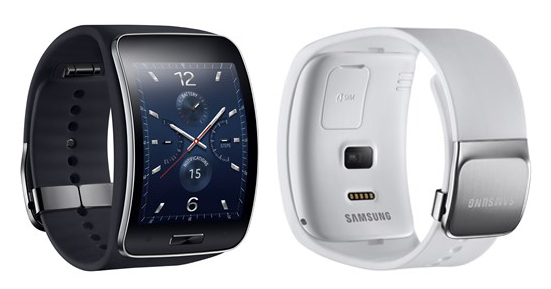 Update: This story has been updated to include Samsung's latest Galaxy Gear entry that was also announced on Wednesday.